Rent. Repair. Replace. » Commercial Water Heaters, Boilers, Softeners & More. Experiencing a case of water under water heater? If your are seeing water around, near or under your water heater remember that it’s important to discover exactly where the leaking is occurring. The location of the water is very important. Some condensation on a water heater is normal – especially on a high efficiency or sealed combustion unit. But if you do find that water is coming from the bottom or base of your water heater, it’s very likely that you’ve got a “leaker” on your hands. Water is leaking internally, probably due to hairline cracks in the tank that occur over time. This can happen out of the blue, or it can become a problem slowly. Either way, if you’ve got a “leaker” you are going to need a replacement water heater – soon. Typically this obvious leaking only happens with standard atmospheric water heaters. High efficiency heaters do leak, but they leak into the combustion chamber at the bottom of the unit – concealing the leak from view. When this happens your unit will simply not be able to heat the water, because the water from the leak will extinguish the flame. 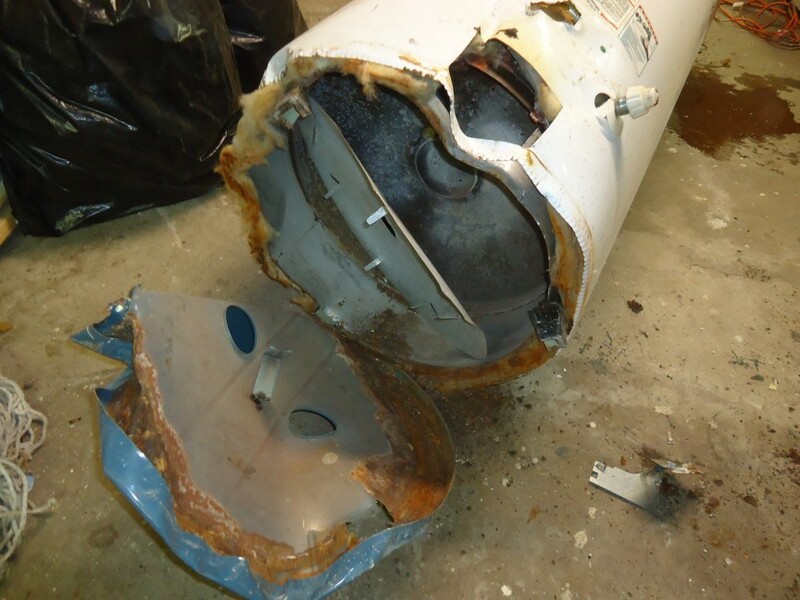 If you have this issue of water under water heater call Reliable Water Services today. Our trained technicians can help you diagnose this and any other water heater problem. We can also get you set up with a replacement heater and a protection plan so you never run out of hot water again! Know these early signs of water heater failure. You may be able to prevent a water heater failure emergency before it happens. If you run a restaurant, hotel or apartment building, just thinking about a “no hot water” situation might make you panic. No dishwashers or no showers? No thank you! After all, you need hot water to run your business. Remember: your commercial water heater is a mechanical piece of equipment. So it’s not a matter of if your water heater will fail—it’s a matter of when. Eventually, all water heaters fail. But you can be prepared. 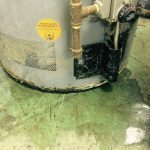 Look for these early signs of water heater failure—and learn what to do when your commercial water heater is acting up. Read on! Why rent a water heater? Should You Hire Professional Property Management? We provide rental & service options on water-related commercial equipment – water heaters, boilers, water softeners & more – throughout Wisconsin, Indiana & surrounding portions of the Upper Midwest. As a B2B company, our specialty is helping businesses where NO hot water is not an option – and we’re available for service 24/7 because that’s when our customers need us.